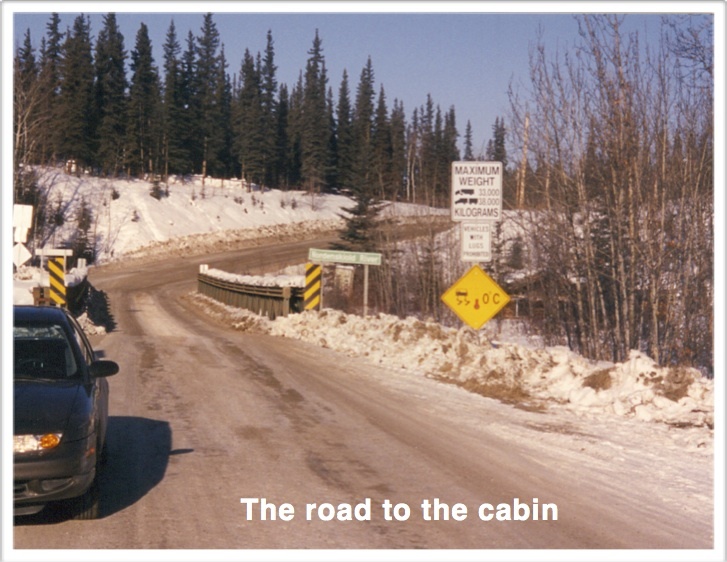 This is the third in a series of four stories from a 2002 drive up the Alaskan Highway. See Gay Bashed, part 2 for the story leading to this one. As far as gay bashings go, I was lucky as a guy can get. A swollen right side of my head and a lost hat, but my glasses still fit and nothing was broken. I’m most thankful. Even so, the real luck of my bashing had just begun. In the Yukon, March is still winter. Folks speak of the temperature and never bother to use the word below. All the remote tourist cabins are closed tight so the only option for comfortable rest is staying in the far-flung towns. With hardly any employment, crime is a big concern in the towns of the far north and security lights make it so you cannot see the Northern Lights anywhere near habitation. My swollen head convinced me it would not be fun carousing in the next town, Whitehorse, so I pressed on. 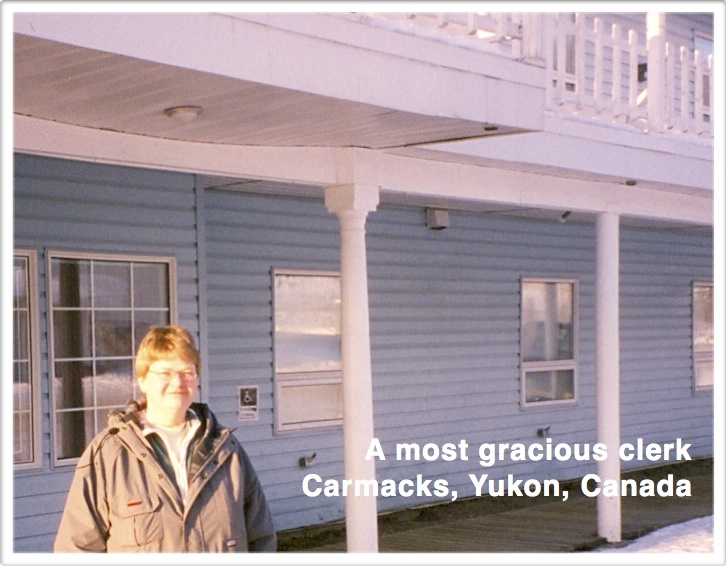 I ended up in Carmacks, a remote outpost on the Yukon River. The village’s only hotel featured the same security lighting I’d been frustrated with since getting to the far north. I expressed my desire to see the Northern Lights to the clerk at the hotel’s front desk and she said perhaps she could help. There was a room outside of town, built over a homeowner’s garage. 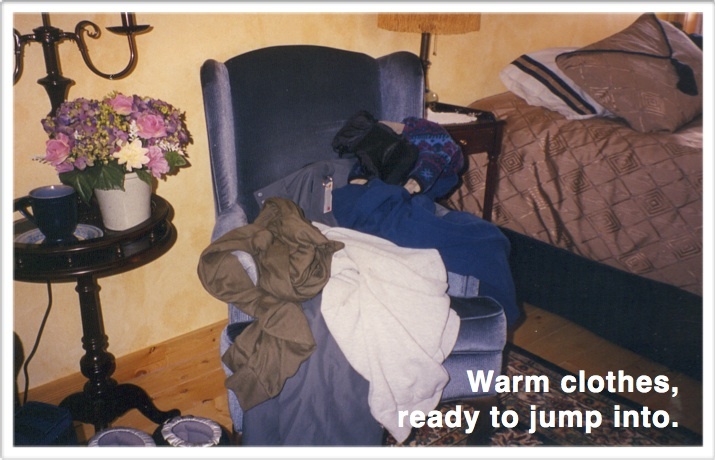 They rented the room during the summer. It was closed for the winter, but perhaps they’d rent it for a night or two. The clerk made a phone call on the hotel’s phone and sure enough, the folks agreed to let me have the room for a couple of nights. They also agreed to turn off their outdoor lights. So. 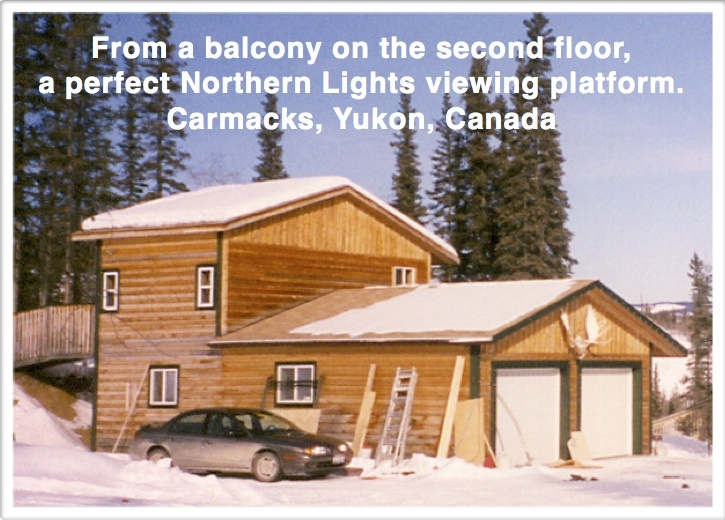 A place to see the Northern Lights. And let my swollen head recover. A regular win-win situation. The clerk was just ending her shift so she graciously led me through back roads to a lovely, modern room. For two glorious nights huge sheets of green light emerged and wafted across the sky, building to where they had bright maroon skirts edging the base of the emerald walls. I was up and enjoying it until the cold drove me in. Then out of bed and back outside every hour. Or less. Civilization’s need for security made it so those were the only Northern Lights I saw on my trip. I would have missed them if it weren’t for verbally blindsiding a handsome lumberjack one drunken night in the Yukon. Fortunate, indeed. But another great gift from my bashing was yet to come. This entry was posted in Alaskan Adventure and tagged Carmacks, Northern Lights, security lights, Yukon on August 3, 2013 by deansgreatwahoo.